Seaborn iPad app available in iTunes! Seaborn—the iPad app—is a book and art platform for the stories, illustrations, paintings, and author notes created by me (Chris Howard) for a collected set of my works—the novel Seaborn, the graphic novel Saltwater Witch, and Seaborn's sequel, Sea Throne. 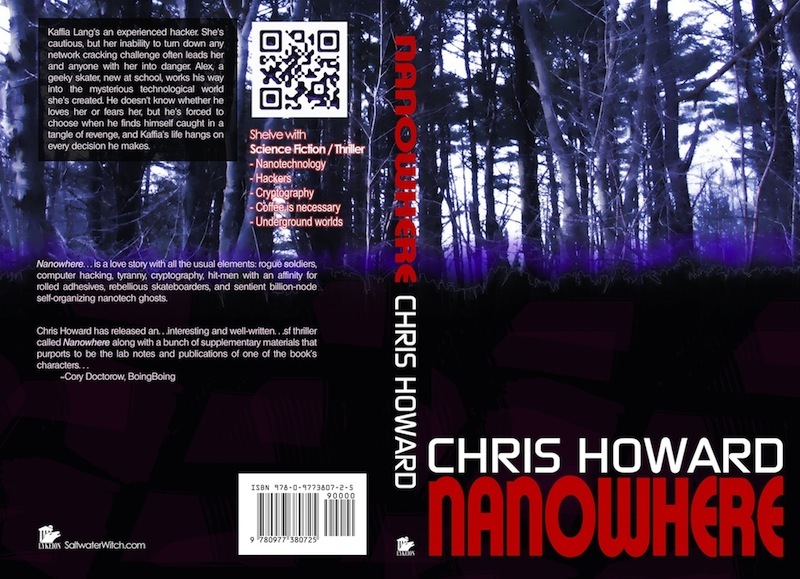 Also included: character studies, timelines, maps, character lists, sample audio chapters of Seaborn, art portfolio, short stories, and chapters from the SF thriller Nanowhere. Okay, that's the formal description of the app. It's also a discovery effort to develop the necessary components of a mobile author and artist platform. I wanted to create something that makes it convenient to get to an author's or illustrator's work, especially the creative side-stuff we do that doesn't always have a home, some of which appears in our blogs, they're slapped up on image-sharing sites, scattered across the universe. Two things I heard over and over after Seaborn hit the shelves: "I wish there was a character list included in the book", and "how do you pronounce names like 'Kallixene'?" My ultimate aim is to build something that brings it all together in a place that's always available—with the base assumption that very few of us go anywhere without a mobile device. Be warned: version 1.0 has a couple embarrassing typoes--fixed in version 1.1, which should be ready for download in a few days. Version 1.0 is up now. Go get it. Grab the update when Apple pushes it to iTunes. I'd really like some feedback on the contents, layout, the scrolling panes for Saltwater Witch, missing features, everything. To go along with the app, I've updated the Saltwater Witch comic site, moved everything over to the actual SaltwaterWitch.com site. I'm back at work tomorrow. Spending my last day of vacation--which started the first day of WorldCon--drawing, painting and reading...and drawing and painting Kassandra reading--actually staring off into space in this scene, but she does have a book. Here's a peek at a closeup of one panel from the next set for Saltwater Witch. Doing some practice reading of Winterdim chapter 1--what I'm going to read at WorldCon in a few weeks. I have it down, just refining a few points. Man, I write short chapters. I may get two read in the eighteen or so minutes allotted. I'll be at Readercon this weeked--Friday through Sunday--in Burlington, Mass, and I have half a box of Seaborn (15 or so copies) to give away. I'll probably just drop the box next to the free table. If you want one, and the box is empty, track me down. I may have a few stashed in my backpack. Registered for Readercon--way late, but I'll be there.